Easter this year was celebrated on Sunday the 20th of April 2014. 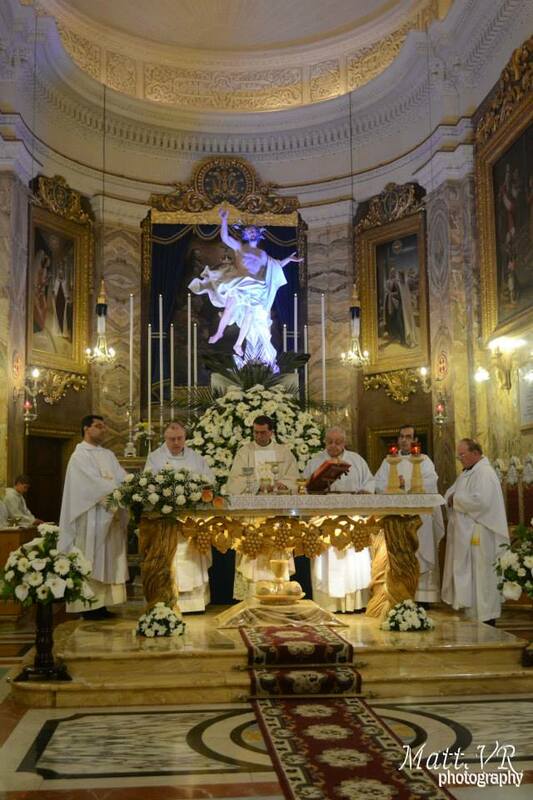 The main Mass of the day was at 4.00 p.m. Fr Geoffrey G Attard was the main celebrant. At the end of Mass, the statue of Christ Resurrected known locally as L-Irxoxt was taken out of the church for a short procession. At the end of the procession Archpriest Can Reuben Micallef gave a figolla to all the children present. On Monday the 21st the Archpriest began the tberik tal-familji which take place annually during Eastertide.